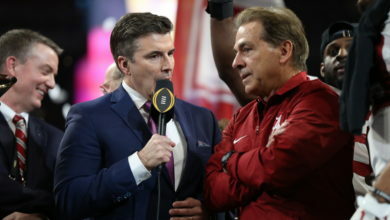 Instant Reaction Quotes: College Football Playoff Selection Show - ESPN Press Room U.S.
ESPN exclusively revealed the College Football Playoff Selection Committee’s playoff teams and the Committee’s final top 6 rankings at 12:30 p.m. ET. The following are instant reaction from ESPN analysts. On Oklahoma being ranked No. 4, ahead of Georgia and Ohio State, which finished ranked No. 5 and No. 6, respectively. ESPN will exclusively reveal the College Football Playoff Selection Committee’s full Top 25 rankings at 2 p.m. ET and the New Year’s Six Matchups at 3 p.m. ET. Full details here.